The Championships are open to girls and boys currently attending classes in grades 7 through 9; there are no regional events, or any other qualifying meets, required to participate in this provincial championship. The meet offers individual and team competition. Only NLAA affiliated schools are eligible for the team awards. Students attending non-affiliated schools can take part in the competition and win individual awards. There is no limit to the number of students per school. Individual Awards will be presented immediately following the completion of each event. The top three (3) finishers in each event and division will receive medals. Athletes placing fourth, fifth, sixth, seventh, eight will receive ribbons. Championship Banners for 1st place Girls and 1st place Boys schools. Team scores will be kept and a Championship Banner will be presented to the top school in each division. The top 2 finishers (only one relay team per school) in each event per school will score. There is no limit to the number of athletes a school can enter in an event, however, an athlete can enter in up to 3 individual events plus a relay. Please note that ONLY schools that are affiliated with the NLAA for the 2018/2019 school year can score in the team competition. Number of affiliated schools - 50 . A participant may compete in up to three individual events plus a relay. Online registration and payment only. It is the responsibility of each participant (coach/parent/guardian) to register by the registration deadline. NLAA is not responsible if an athlete is unable to register online by the late registration deadline for any reason, including server/internet problems! 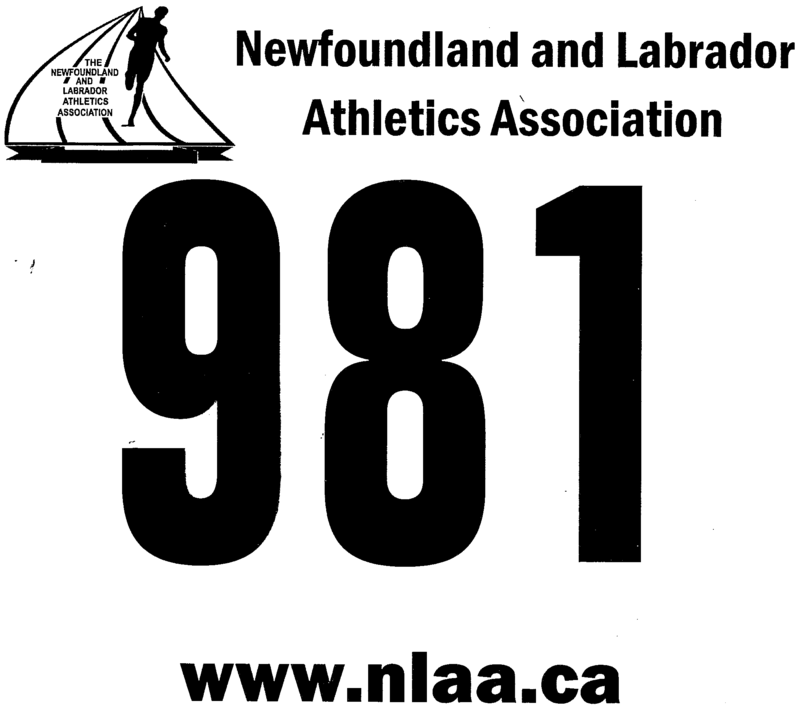 This competition is organized and sanctioned by the Newfoundland and Labrador Athletics Association (NLAA). The rules for this competition will be governed by the NLAA, Athletics Canada (AC) and The International Amateur Athletics Federation (IAAF). Athlete(s) responsible for the false start will be disqualified. Crouch start and the use of starting blocks is mandatory for 100m, 200m, and 300m sprints. Race numbers will be available for pick up on MEET DAY beginning at 9:30 am from the “Race Bib Pick-up Desk”. A volunteer will be on-site at Pearlgate.